Ah, it is indeed a beautiful Saturday night here in New Delhi. * And most important – they can learn to run your Microsoft boxes in less time than it takes an MCSE to learn a single Linux task. On a related note, I also challenge any Linux admin to tweak Exchange server; it is also a hard work unil u see sendmail config file. My first reaction for sendmail was WTF? my jaw just dropped wow! Slowly Iâ€™m learning about postfix and now using control panel (plesk). Let us hope so I become good linux admin. well, i agree at 100%. BTW: A really nice blog! Just grabbed your RSS feed. This is key. A Unix admin will likely have experience with a wide range. (S)He will know about windows. Will probably be able to do some network debugging. Will probably know of several alternate solutions to a problem. A Macintosh admin will have a bit of a subset of the above. We all have to accommodate the 800 lb gorrilla of Windows. The Windows admin might never have seen anything except Windows. The difference between NT and XP will seem like a huge difference. When all you’ve ever used is a hammer, a screw will cause you all kinds of problems. linux is nice os, its crazy software,no one suddenly attack in to this . Sure.. going from Linux/*BSD to Windows is MORE EASY than viceversa.. i`m sure. that happend to me :). 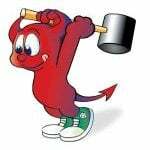 since 2001 i was using FreeBSD as my main desktop OS and a new job make me switch to windows. now i`m the admin of an entire AD domain since 1 year and was so easy to get the concept. have you tried J Server 2007 – Lets you admin users and samba from windows point and click. hi, im a solaris unix admin. for about 2 years already im maintaining solaris os. but now im searching for a windows job and finally i got 1. Linux Admin admin just like good girl and bad girl – good girl go to heaven and bore to death, while bad girl go every where else and have fun. A linux user can run a lot of commands of microsoft but he can’t troubleshot the problem easily, he can run the commands by hit and trial methods , don’t know about the command what it does. according to me linux user can interact with microsoft but can never work on the server level. On the other hand a microsoft user can work on the linux but in this condition is that he can work on the linux with GUI interface easily because he did,t know the commands. I’m agree, I’m a slack user since 1997 and today for my work I use windows, isn’t difficult to switch from one to the other when I go from home to the office and vice versa. I’m an MCSE and I was hired as a contractor with IBM to Admin a large Win2k3 domain. But it’s in the middle of many Unix/Linux servers of many and every flavor. I’m also admin to these servers with OS’s as old as early versions of Solaris to late versions of Red Hat Enterprise. Learning to use vi shows you how it started long before there ever was a mouse. But, I’ve used command line admin with all versions of Windows, so my learning curve is not so bad. There are no graphics or double clicks, just command line . . . not so hard! Well there is no point in administering anything less than GNU/Linux! Stop acting like people care about that. When I was in HS, I took a UNIX class, and it was all about the SUN OS. 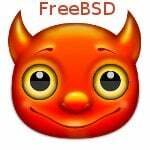 I absolutely hated it, and therefore was uninterested in GNU/Linux. When I was in college, I got into a Linux class, and the instructor really helped me develop a love for it. We were working with RedHat 7 at the time, and I have now moved onto many different distros, and have settled (for now) on Ubuntu. It took me a few years, but I have moved to a complete GNU/Linux environment in my apartment. I have to run Windows at work, but I have installed Cygwin on my work machine, and still do most of my work through the command line. Some of the most intelligent admins I have met to date have all been *nix admins, and would only work on Windows when they absolutely had to. I feel that Windows admins are very smart, in their specific field, but they are less likely to make the switch over to GNU/Linux because the entire architecture of the OS is different than Windows. Hooray for Tux!! Great blog, I have been reading it for a little while now, and this is the first time I have posted a comment. Perhaps because I don’t like to touch MS software, it’s all a bit annoying to me. I have to take my hat off to anyone that has taught themselves to be a windows server admin with AD and Exchange etc. Unless you have a place to look for the answers, it can be a real bother figuring out MS terminology and technology. They’re off in their own world. Man I hope I never get a job at the evil empire. I’m learn for my MCSE exam from my Ubuntu Box.. and and for me it much2 easier for me to learn all the MCSE stuff after I learn Linux, because it help me shape the mind set. this is nice blog..any one can tell abour mandriva linux??? Im a windows admin by trade but I do have to support linux servers. Which is easier ? Neither , you still have to learn the relevant tools of the trade. What really seperates the men from the boys is systems programming. Anyone can learn a command line tool or batch/scripting language. I have nothing but contempt for the unix/linux camp that simply know ‘enough’ to get by. Umm, isn’t it just easier to fake being a ‘good’ admin if you’re primarily around a windows environment? Either way, in order to be ‘good’, you still have to understand the underlying concepts of what you’re doing. If you don’t have those base skills, then you’re no good no matter what type of environment you’re in. You are absolutely right my dear. For windows administrators Learning Linux administration is like learning breathing on a planet without oxygen. for me the key point is “They have knowledge of different technologies”, as an IT consultant I can advise my client to the best technology that suits his business. Most Microsoft resellers I find have *limited* IT knowlege in general, with linux you tend to have to “learn the basics” eg rdns/dns/smtp/fetchmail/postfix/assp etc etc and not “point and click” autoconfigure crap, and with so many things in life, once you learn the underlying concept your skills are transferable. Sometimes (where no other options exists) I advise clients to use Windows Server, but generally I use linux. The superiority complex is here again. This age old debate should be put to bed. I have seen Linux admins get on a Windows machine and find themselves lost in trying to configure Exchange. Let’s face it, there are NO OTHER options available in comparison to Exchange Server. Zimbra is still in it’s infancy and unless they get up and get moving on development Exchange will be leaps and bounds ahead in the Enterprise collaboration world. Active Directory provides granular control over end users in comparison to Linux. If you want to lock down a Linux machine you have to basically write a ton of scripts and figure out how you are going to get that all to work. Windows has far better Enterprise support than Linux at this point in time. For those that think Windows admins are stupid are merely idiots themselves. I have met some brilliant Windows admins and in turn met some retarded Linux admins. Put this issue to bed and move on. I am a pro Linux user but understand it’s limitations in the Enterprise world. I think it’s fair to say that a lot of people can perform a lot of very basic Windows administration with little training, but these are not people I would consider real System Administrators. Really getting under the hood of Windows takes just as much intelligence and understanding as it does for Linux, and as someone who started from the WIndows side, I can honestly say that some aspects of Linux seem simple in comparison. Yes, there are a lot of commands to learn, and I know I’ve only really scratched the surface, but learning commands as you need them is ultimately just a tiny detail compared to knowing what you want or need to do in the first place. I am studying MCITP but my work requires some little Linux admin here and there. I totally agree with Robert above though – it is all about which industry you wanna specialize in. I feel Linux is good for the techno-admin in say Telecoms Servers (which is my current field), ISP, and typically all service delivery platforms i assume. BUT for the Entreprise arena, I guess we still cant beat the Windows platform. A comparison of the two is total nonsense unless it is mere superiority complex. I suggest we understand that what matters is the target industry. Period. Seriously! I like the philosophy of GNU/Linux and that’s why I wanted to be a full GNU/Linux Administrator, but today the situation seems to be different in my view. When I see all services provides by Microsoft, especialy in 2014, it seems difficult to find worth in the GNU/Linux world. If you want to have some very useful features as those providing by Microsoft, you have to pay for that! Otherwise, you will be limited! And more Microsoft provides new features, more the Microsoft Admin as to be proactive to be fonctional otherwise he will be outdated. That’s what define his level of profesionalism “smart attitude”. Maybe a smart admin is not a linux admin or a Microsoft Admin, it’s just a guy/girl which is not afraid to learn all the time and to practice a lot to have more skills and experiences to respond easily to a need.